Classical styling with a modern edge. Past, present and future celebrated in one timeless ring. 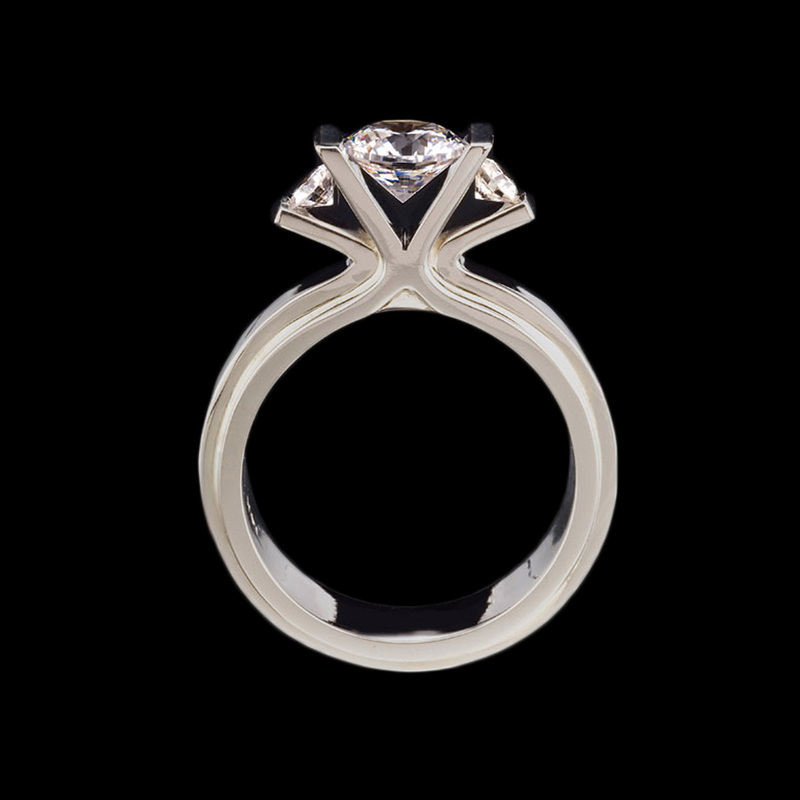 Pictured here with a 1.00 carat diamond center stone and .25 carat side stones mounted in a white gold setting. Looking for the perfect center stone? 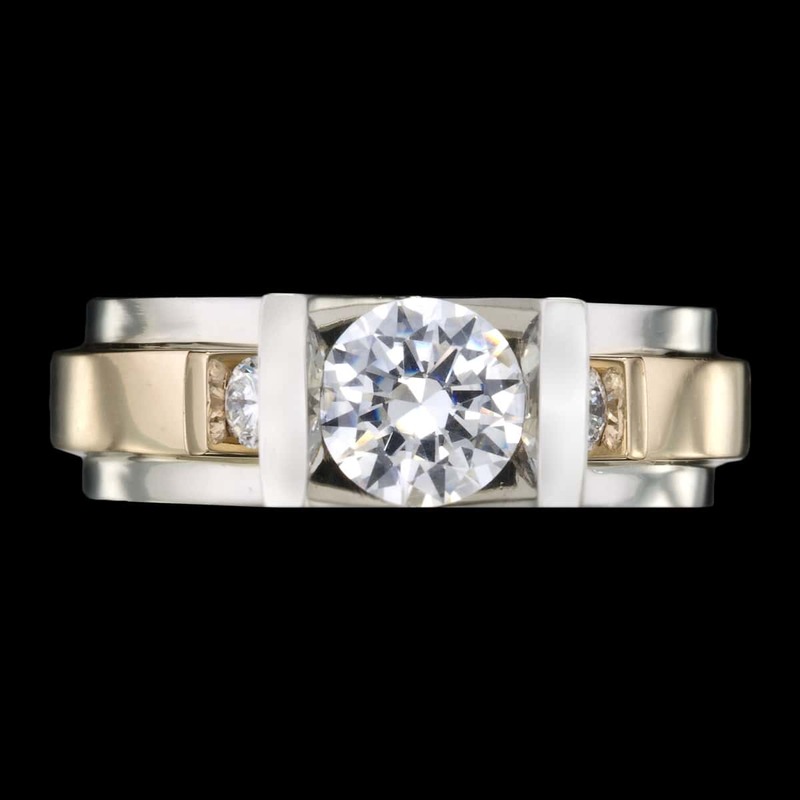 We offer GIA expertise and competitive pricing for diamonds and colored gemstones. If you already have a center stone we can set it for you. To purchase, call (949) 715-0953 or use our contact form below.